This brief article incorporates material from my The World for a King: Pierre Desceliers’ Map of 1550 which is just out from the British Library, and examines one of the “treasures” of the BL, and indeed of Renaissance French culture, the world map made by the Norman cartographer Pierre Desceliers in 1550 for King Henry II. The map measures 135 × 215 cm (4.4 × 7 feet), and was designed to be consulted by being laid out on a large table: the images and texts in the northern half of the map are oriented so as to be right-side up when viewed from the north, and the images and texts in the southern half of the map are designed to be viewed from that edge of the map. 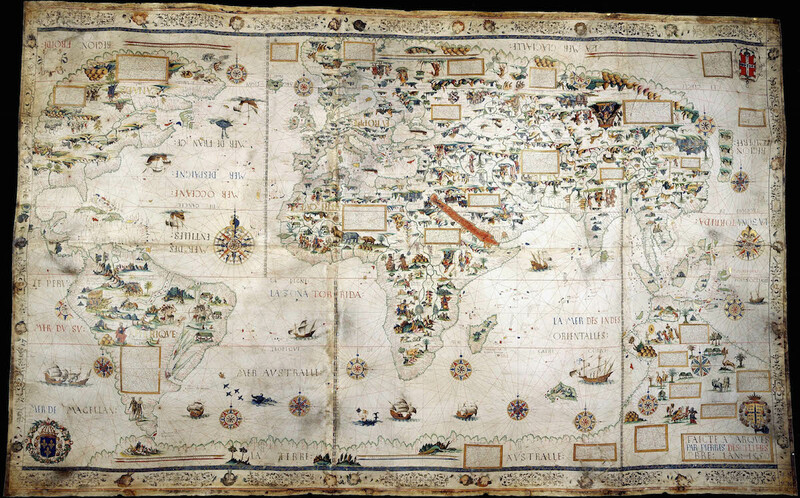 Henry II (1519-1559) was interested in maps and owned other maps, including a similarly large world map made by Desceliers in 1546 which is now in the John Rylands Library in Manchester. The question arises as to why he would acquire a second world map by the same cartographer a few years later. The 1550 map bears three coats of arms in its corners: in the lower left corner, the royal arms of France, which given the map’s date are those of Henry; in the lower right corner, that of Anne de Montmorency, Marshall of France; and in the upper right corner, that of Claude d’Annebault, Admiral of France. When the map was made, Montmorency had maneuvered himself into Henry’s favor, and pushed d’Annebault, who had been Henry’s favorite, to the sidelines. Montmorency would never have included the arms of d’Annebault on a map he commissioned; it was rather d’Annebault who had the three coats of arms painted on the map: he was trying to rehabilitate his position at court, and commissioned the map from Desceliers as a gift to the King and his Marshall, in order to gain their favor. This elaborately decorated image of the world was created as the means to orchestrate the revival of a political career. 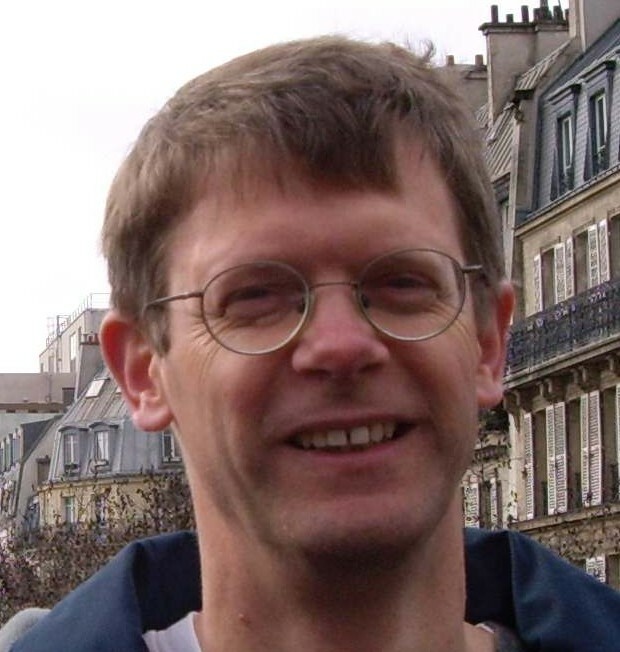 It is natural to assume that d’Annebault knew that Henry owned an earlier world map by Desceliers; how then was he to render the new map different and special? First, a better team of artists to paint the decorative details of the chart – the portraits of kings, and the images of cities and animals – was hired. 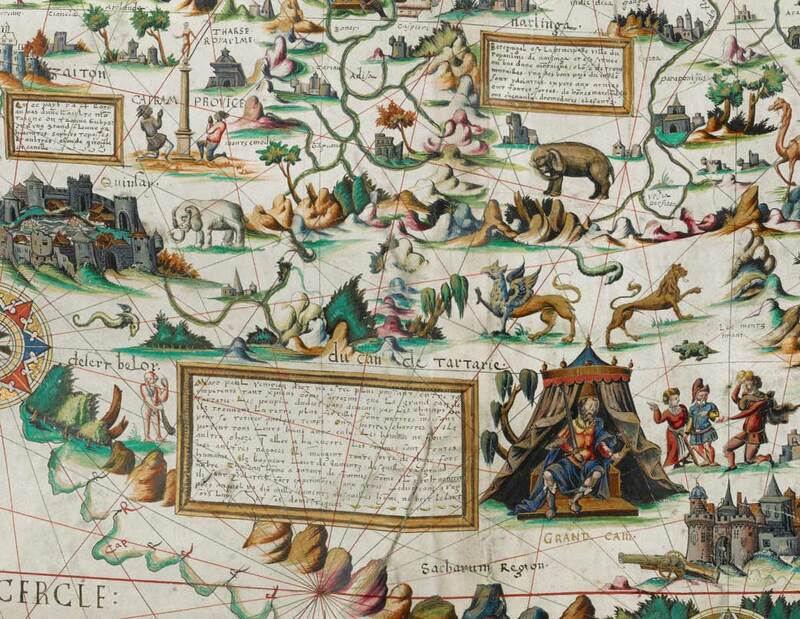 Second, the 1550 map includes a set of twenty-six long descriptive texts, set in cartouches throughout the map, that supply details about the geography and the inhabitants of various regions. There are no similar texts on the 1546 map, and we can be confident that these were placed on the new map in part to make it distinct from and even more elaborate than the earlier map. Atlases made by other cartographers working in and around Dieppe at this period omit most of Asia. Atlases made by other cartographers working in and around Dieppe at this period omit most of Asia. For example, Guillaume Le Testu in his Cosmographie Universelle of 1556 includes only western and southern Asia, but nothing of the continent’s interior. We do not know why the other Norman cartographers give short shrift to Asia, but Desceliers created a rich and detailed image of the continent. He includes images of the Amazons, the Great Khan, and other Asian potentates; cynocephali (men with dogs’ heads) and a man with no knees; elephants, a camel, bears, a baboon, and a flying serpent. And the greatest number of his descriptive texts relates to Asia. What we do not know is whether the detailed images of Asia on Desceliers’ maps reflect his own fascination with the region, or an interest on the part of his clients, or both. One of the most intriguing aspects of the Norman maps is their inclusion of a southern continent, which some have argued represents a “pre-discovery” of Australia, before its generally accepted discovery by Willem Janszoon in 1606. For discussion of this complicated question, I refer readers to my book, in which I address this aspect of the map, and many others, in detail.